Proof of discrimination is challenging but always possible. The burden of proof in a California Fair Employment and Housing [FEHA] case is by evidence showing that it is probable that discrimination was one of several likely reasons for why an employee was fired. Among these multiple concurrent causes, discrimination is a “legal cause” if it is a “substantial factor” in the decision to terminate. See Harris v. City of Santa Monica, 56 Cal. 4th 203 (Cal. 2013). At the end of the day, the Plaintiff must assure that the jury receives the correct jury instruction if he or she wants the case to survive an appeal. There are occasions when an employer will plead an affirmative defense of “mixed motives” for the termination decision. The “mixed motive” case occurs when the Plaintiff presents the rare situation of “direct evidence” of discrimination. Direct evidence is evidence of an admitted bias by the decision maker and directed at the employee-Plaintiff. In this “direct evidence” kind of case, the employer will seek a jury instruction that even if discrimination was a factor in a manager’s actions, the manager would have fired the employee for other legal reasons independently of the discriminatory motive. It is important to note that the “mixed motive” jury instruction is not available to an employer in a case where direct evidence is not alleged or offered. The defense is also not available if the employer does not plead the defense affirmatively at the time of its answer to the Complaint. Employer attorneys often claim the burden of proof of a “substantial motiving factor” is more difficult for the Plaintiff. I claim it’s about the same as it always was pre-Harris, and a jury will use common sense to understand that multiple motivations may exist, but that one bad motivation may make the difference. The battle over the difference between a “motivating factor” and a “substantial motivating factor” can seem like philosophical hair splitting. The difference only becomes practical at the level of jury instructions. At the end of a case, the attorneys will argue that the jury should make specific findings based on those instructions. The defense will try of course to present an instruction for approval by the judge that will make “substantial” sound like a truck load of boulders in comparable weight. I, by comparison, want the instruction to allow a finding that discrimination was just that little nudge that took the house over the edge of the cliff after weeks and months of work relationship erosion. For a case that focuses the “causation” battle at the level of the jury instructions, see Alamo v. PMIC. Adding to the vagueness of what is a “substantial motivating factor” is that the Harris court did not tell us what it is, but told us clearly what it is not. It is not causation that follows the “but for” formula. That is, the test is not “but for” discrimination, the termination would not have occurred. This is a significant point, because the burden of proof is less difficult than defense attorneys want us Plaintiff attorneys (and judges) to believe. Most likely, a court will allow the jury to find a “substantial motivating factor” to be a motive that moved the firing decision forward. Conversely, a manager who made a single vague general, biased comment about people in the Plaintiff’s “protected category” would likely not be evidence rising to the level of a “substantial motivating factor.” Something more might be needed, such as evidence that management favored persons who were younger, or without disabilities, or white. Note that the burden of proof doesn’t require an employee to present a statement or document expressing an illegal bias against the employee. The employee who can prove that discrimination was a factor in his firing decision, but fails to prove the discrimination was a “substantial factor,” can at least recover attorney’s fees and costs. But the employee must plead a cause of action asking the court to declare the rights and obligations of the parties under the law, or plead for “injunctive relief.” Injunctive relief means an order that the employer stop or undertake a specific behavior. The employee “wins” this “injunctive relief” case with only evidence that discrimination was a “motivating factor” even if not a “substantial motivating factor.” Bottom line: Plaintiff’s attorney’s pleading discrimination cases should always include an action for injunctive relief or declaratory relief in order to at least recover attorney’s fees and costs. The “why” of the employer’s decision to terminate an employee is like a gun that is never seen in the firing, only in the smell of smoke afterwards. Like all cases where the suspect is questioned, motive becomes central. The employer always, I repeat, always, has an alibi. The employee either a) just didn’t measure up; or b) was a terrible employee; or c) was a good employee, but we had to let her go as part of a lay-off. There are two kinds of evidence to prove an employee was unfit for the job: objective and subjective. The objective evidence is more reliable generally, for example, dismal sales. But subjective factors can be persuasive if the testimony is overwhelming and credible that no one could stand the employee. Almost as surely as the alibi, an employer will round up a herd of fearful current employees to repeat the party line: I found it very difficult to work with the Plaintiff. Does this mean that only nice people should win lawsuits? Sometimes a difficult employee is also a pregnant woman fired because she will be needing time off for her pregnancy. Sometimes a negative employee with an attitude is an African-American fired because she is African-American. Sometimes the employee who entered the wrong data on a bid proposal is a 62 year-old employee fired because a young boss perceives him as too old for the job. The point is that human motivation is a cocktail of emotions. How does a jury separate out bad management from illegal management? The situation is reminiscent of the the 2016 presidential election. It seems, according to political pundits, that the public viewed both candidates in an unfavorable light. But what if a voter saw the two candidates with equal disfavor, but decided candidate Clinton was less qualified because a woman? There are two considerations here: a) the voter is likely unwilling to see, admit or accept his gender bias, and b) the unconscious bias actually made a difference. That is, the voter’s bias was a “substantial motivating factor” in why he cast his vote for Trump. If there were 12 Trump supporters on the jury to decide the case for gender bias, they would, if following the law, have to find in favor of Clinton. There are no perfect employers. There are no perfect employees. A jury deciding a case of discrimination or whistleblower retaliation, or perhaps a case of defamation or harassment will find more gray hats than white or black hats. The challenge for any jury is to decide the case in this spectrum of darker or lighter shades of gray. What then is the Plaintiff’s burden of proof in a discrimination case? You’ll be surprised to hear that a) motive is a critical element of proof and that b) smoke will suffice. No one expects to see the gun fired. They may not even see the gun. But they are entitled to smell the gunpowder on the manager’s sleeve, even as he comes up with numerous alibis. In Employment Law, the Plaintiff’s task is to prove that the “substantial motivating factor” of the decision to fire an employee was the illegal reason. That means there may be multiple concurrent reasons. But the fuel additive placed in the manager’s tank was an illegal purpose. That mixed fuel make the termination engine run. According to employment law, if the Plaintiff stops here in the proof of discrimination, and the Defendant has fallen asleep during the trial, the Plaintiff wins. But the Defendant doesn’t fall asleep. The Defendant has alibis, and wants the jury to hear them. Stated differently, the Defendant wants to put the Plaintiff to the ultimate burden of proving that discrimination was the cause of the termination. So now the documents and witnesses are paraded before the jury to show the Plaintiff was a) a scoundrel; b) an incompetent bum; c) a nice guy with few skills or no motivation; or d) a great guy who had to be laid off anyway. Remember, no employee is perfect. There will be documents and witnesses. Know too, a lay-off is an excellent smoke screen for hiding an illegal discrimination. We all know the stories of how older workers disproportionately bear the brunt of a downsizing. If the employer floats a plausible excuse for the firing, the proof of discrimination shifts back to the employee. The further proof goes something like this: those reasons just given by the employer for my termination are not the true reasons. Here is evidence of a) how skewed and distorted the reasons are, and b) how others not in my “protected category” did no better than I, but are still working there. In the parlance of law, this is called proof of “pretext,” and if it is successful, the burden shifts back to the employer to reinforce the “dirt” on the employee. So it goes, back and forth, until the jury is instructed to reach a verdict. Notice that nowhere in this shifting burden of proof is the Plaintiff required to present direct evidence of an illegal motive. Smoke will suffice if the employee succeeds in proving the employer’s stated reasons for termination are not credible. Think of this pretext proof like this: yes, the employer had these other reasons, but these reasons alone were like fuel that wouldn’t ignite a decision. The catalyst was that the Plaintiff too old. Bias is unconscious and illegal. Give that a moment of thought. We are tagging an employer with liability for an unconscious mental or emotional process. Give this secondary conclusion still another moment of thought. We’re placing a burden of proof on the employee to show that this unconscious process motivated a decision to terminate his or her employment. 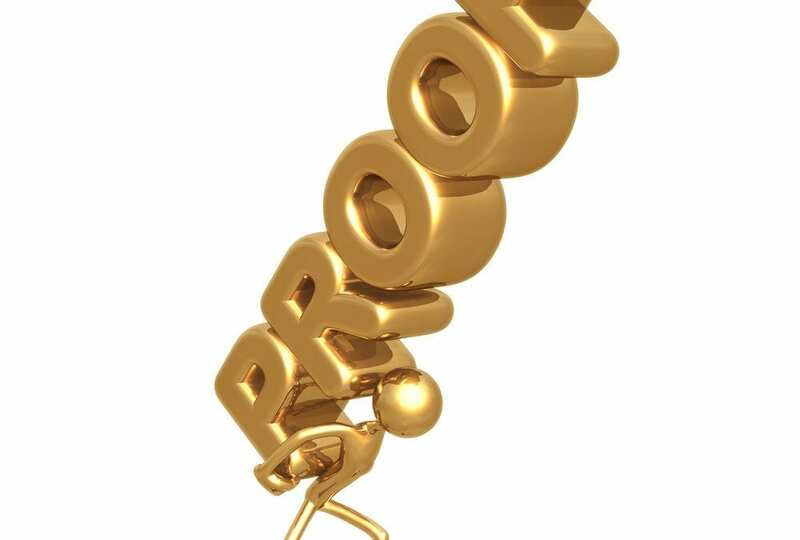 But it can be done if the jury understands that the burden of proof is not proof sufficient to confer certainty of what motivated the employer. A jury must be instructed by the court to understand that a juror can have less than full certainty. The jury is instructed to find only that the most probable explanation for the firing was illegal bias. We know real people in real work situations don’t go about bragging about bias. We will never hear that kind of testimony in court. The best an employee can present is indirect evidence, and the burden of proof is only to show that it is more probable than not [51% likely] that illegal bias caused the termination.